· For the slightly less hardy, you can stay in a town that is easily accessible by bus and from where you can walk more or less straight onto the moor, without having a lot of tedious lane walking first. For south Dartmoor, the best two options are Ivybridge or South Brent, both served by the excellent Stagecoach Gold bus. 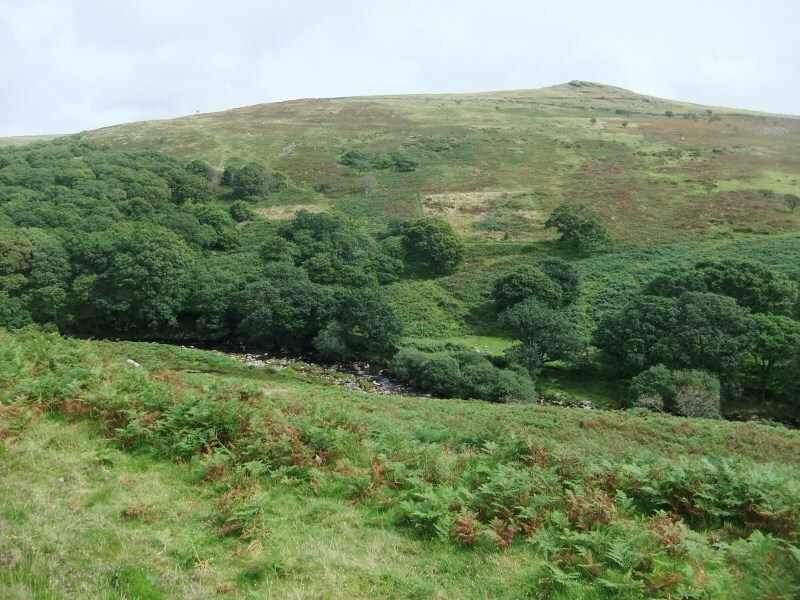 Ivybridge lies on the lovely river Erme and you can follow the river upstream from the town centre through beautiful woodland, then cut across to the picturesque hamlet of Harford and onto the open moor at Harford Moor Gate. The energetic can walk from here all the way to Piles Copse, one of the three areas of ancient woodland on Dartmoor and an idyllic spot for a picnic. The Two Moors Way runs along the ridge above, and you can follow it back into town passing prehistoric stone rows and with magnificent moorland views. In South Brent you can follow footpaths up the equally lovely river Avon valley, then walk up to Corringdon Ball and the Glazebrook valley where there are many prehistoric remains and great high moor scenery. 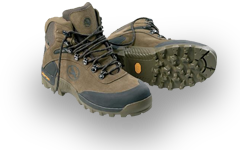 Return on footpaths via Aishridge and Aish. For north Dartmoor, the 6A bus runs from Exeter to Okehampton and you can stay in either the villages of Sticklepath, South Zeal or Belstone, or the small town of Okehampton itself. From South Zeal and Sticklepath, footpaths lead you up to Cosdon Beacon, a magnificent viewpoint, from where you can drop down to visit the impressive triple stone row known as The Cemetery, and return on a range of ancient trackways through crumbling enclosures. Or you can follow the Taw valley through lovely woodland to Belstone, from where paths lead up onto the common, to the Nine Maidens cairn circle and up the Taw valley to serious high moorland walking. Chagford is another possibility – the 173 bus runs there from Exeter 4 times a day, and it’s a delightful town to stay in. You do have to walk westwards on lanes and footpaths for a couple of miles before reaching the moor, but when you do you’re in a stunning part of it with Kestor rock, the Shovel Down prehistoric remains, Scorhill stone circle and a couple of beautiful clapper bridges to see. · If you can’t find accommodation in these smaller moorland towns (and they can get quite full in the summer months), staying in Exeter will enable you to reach the above towns by a reasonable time in the morning and return in time for supper, leaving you enough hours in between for a decent walk such as those outlined above, which give you a good sense of the variety of Dartmoor scenery. 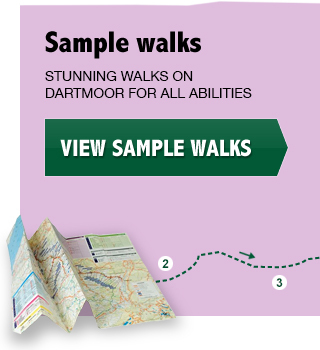 · If you’re not comfortable with negotiating your own route or you’d like the benefit of a guide who can introduce you to the hidden delights and history of Dartmoor, contact Dartmoor Walks and Rides This Way. Based in Ashburton, which is served by buses from Exeter, Plymouth, Newton Abbot and Totnes, they can meet you at the bus stop and take you for a half-day or full-day exploration of the moor either on foot or on an electric bike. · If you like cycling and want to hire a bike, an accessible place to start is Devon Cycle Hire at Sourton or Adventure Okehampton, both reachable on the regular No. 11 bus from Plymouth. You can cycle out along the gorgeous Granite Way and continue on the Drake’s Trail south from Tavistock (both follow old railway lines so are flat unlike most Dartmoor roads). From these trails, you can detour eastwards to explore delightful areas such as around Peter Tavy (good footpaths from Smeardon Down onto the high moor) or Burrator reservoir (cycle around the reservoir and stroll up one of the many footpaths). · If you plan your visit to include a Saturday between 4 June and 17 September, you can take advantage of the Haytor Hoppa bus which does a circuit of the eastern side of Dartmoor, starting and finishing at the bus and train station in Newton Abbot. There are 4 buses a day, at roughly two-hour intervals, so you can get off at scenic spots such as Hound Tor, Haytor or Widecombe, do a stroll, then pick up the bus again. Or even walk from one spot to the other. However you do it, I hope you will have a great day out in our wonderful national park!